Upgrading employee skills is critical for economic recovery and long-term business viability. We are proud to assist in developing the capacity of our members' workforce. In service to those in Louisiana, we are a Louisiana Workforce Commission (LWC) approved training provider for the Incumbent Worker Training Program's (IWTP) customized employee training and Small Business Employee Training (SBET) options. 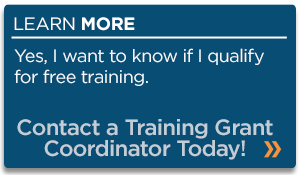 As an authorized IWTP training provider, we can help you meet your training goals. Funds available through the Louisiana Workforce Commission can help you develop the skills of existing employees. Louisiana employers may choose either a customized employee training option or a Small Business Employee Training option. The two programs cannot be delivered concurrently. We provide a variety of courses to aid in your workforce development. Employer must have been in business in Louisiana for at least three years, contributing to and in full compliance with state unemployment insurance (UI) tax laws. Employer must have at least 15 employees to be trained. Trainees must be incumbent workers for whom the employer incurs a Louisiana UI tax liability. Small Business Employee Training (SBET) offers qualifying Louisiana employers up to $3,000 per trainee, per state fiscal year. Alliance Safety Council provides this training to various small businesses in Louisiana. Company must be a Louisiana-based business with 50 or fewer employees. The company has operated in Louisiana for at least three years, contributing to and in full compliance with state unemployment insurance (UI) tax laws. Training must come from an approved training provider, such as Alliance Safety Council. The request for training must be in a labor-demand occupation as defined for Workforce Investment Act (WIA) purposes, as listed on the LWC website. Read more information about the program at www.laworks.net.